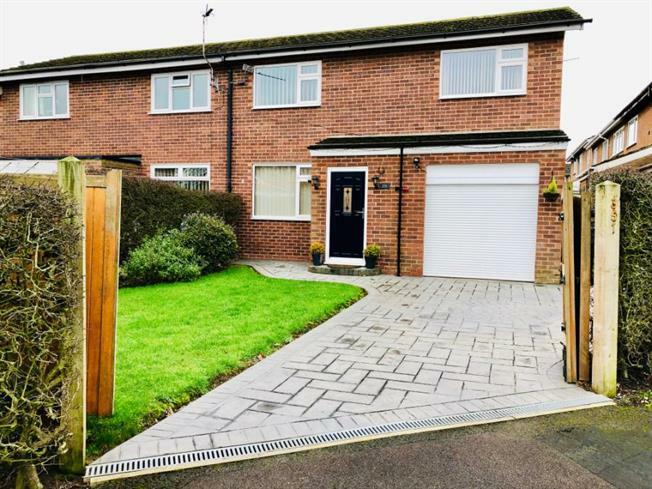 3 Bedroom Semi Detached House For Sale in Knutsford for Offers in the region of £200,000. Probably the best house on the market in this location for a long time. Beautifully presented Three bedroom corner plot family home. The property is in good decorative order throughout and appears to be well maintained. Three good sized bedrooms, seperate wc & shower room, internal access to attached garage (with electric roller door). Off street parking for two vehicles. Great House, Great Price!! !